Closed on January 1st, Chinese New Year, Chuseok Holiday, and every Sundays. Please make an appointment prior to your visit for more faster consultation. Parking Lot entrance is located at the back of W Tower. For big van’s please use the parking lot at Kyobo Tower. 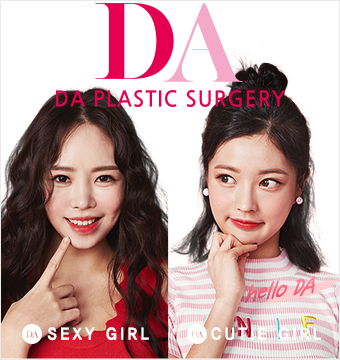 DA Plastic Surgery is located on 7th, 8th, 9th Floor of Aritaum Building. Please do not use the elevator located on the front side of the building, beside Aritaum (on the main road). You can use exclusive elevator for DA Plastic Surgery by coming through the alleyway between Aritaum and Skinfood and come into the W Tower entrance on the right side. From Gangnam Station Turn left at Kyobo Tower intersection, then make a U-Turn, and take a right at Kyobo Tower intersection, then turn right on the first alleyway. From Nonhyeon Station Go straight towards gangnam station, pass Kyobo Tower and first alleyway on the right. Please note – In regards to the before and after photos on this website, results may vary depending on each patient’s case.